Writing about writing. That’s what meta-writing is and that’s what Communication majors do. We study the great who’s-who’s of the literary world. We focus on the do’s and do-not’s of various forms of communication and hope to improve upon our style and technique. But sometimes I like to focus on the why. Why do we write? Why do I write? Relationships. That’s what it’s all about it. Every aspect of my life is centered on the relationships that I have or the ones I hope to have. Being the relational creature that I am, I have found writing to be one of my greatest passions. Writing helps us relate to one another and bridges the gaps between people and ideas. The written word conveys the meaning of thoughts and paints pictures that only the mind can see. Why is this so important? Relationships. When two or more people can clearly understand each other’s thoughts and ideas, their relationship grows. Words can divide but they can also restore. This kind of power should be respected and developed thoughtfully with precision and care. The ability to destroy or strengthen a relationship should never be taken lightly whether that relationship is of a professional or personal nature. Meta-writing may not be at the top of everyone’s list of favorite topics to discuss but occasionally it helps to take a step back and examine why we do the things we do. For me, taking a closer look at why I write helps me to put things into perspective and helps me to refocus my writing goals. 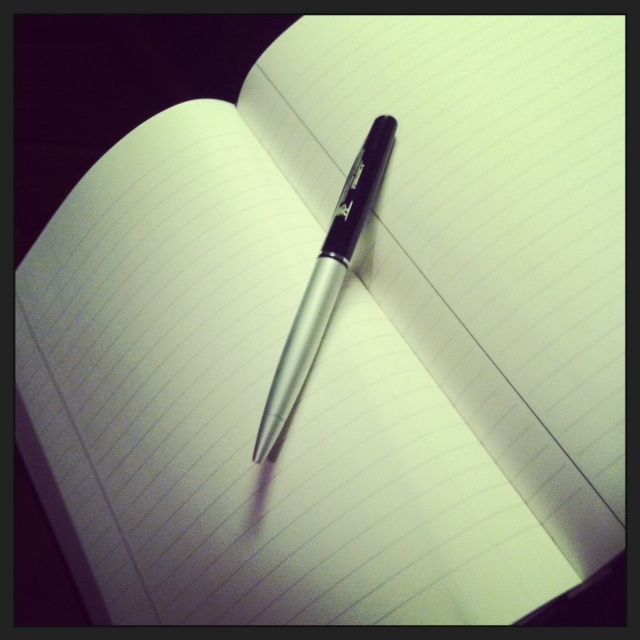 Writing about writing about writing… well, that’s just what writers do.